Dimensions 734' by 108'1" by 31'6"
1943-6: Type 21 radar installed, along with two more 25mm guns. 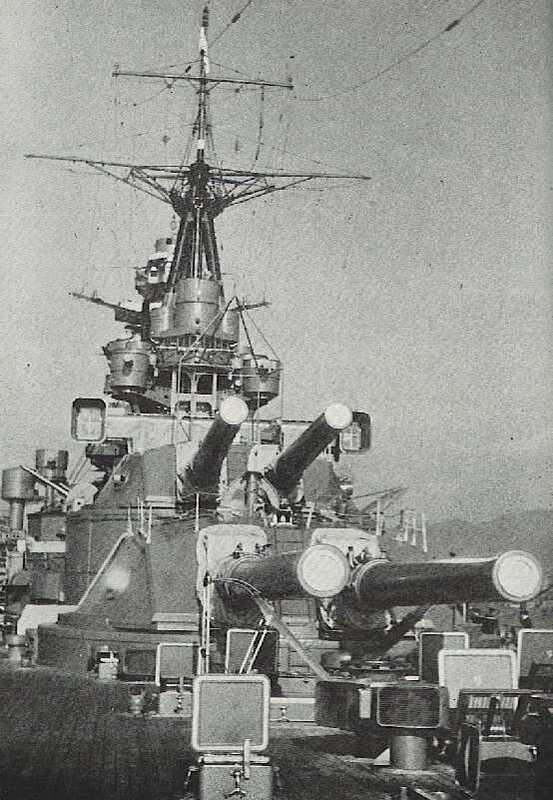 1944-7: Two 5.5" guns and one twin 25mm gun replaced with 16x3,28x1 25mm guns. Installed Type 13 and Type 22 radar (two sets each). 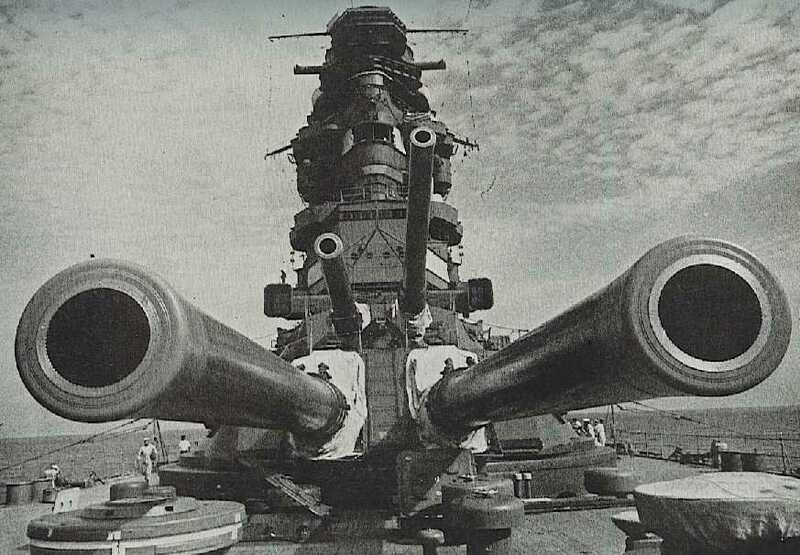 1944-11: Removed four 5.5" guns. Addes 2x2 5"/40 and 9x3 20mm guns. 1945-6: Removed remaining 5.5" guns. Added 6x2 5"/40 guns. 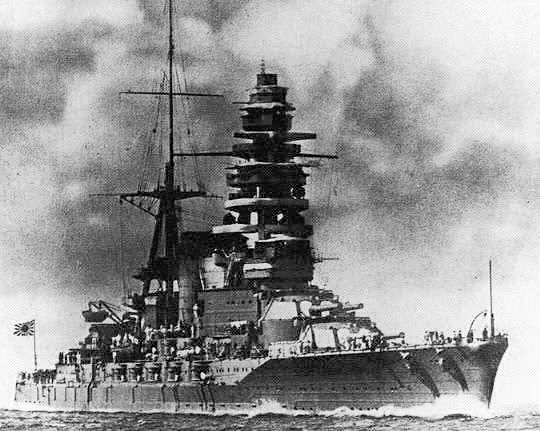 The Nagatos were completed in 1920-1921 as the first ships of the 8-8 program (eight battleships, eight battle cruisers). 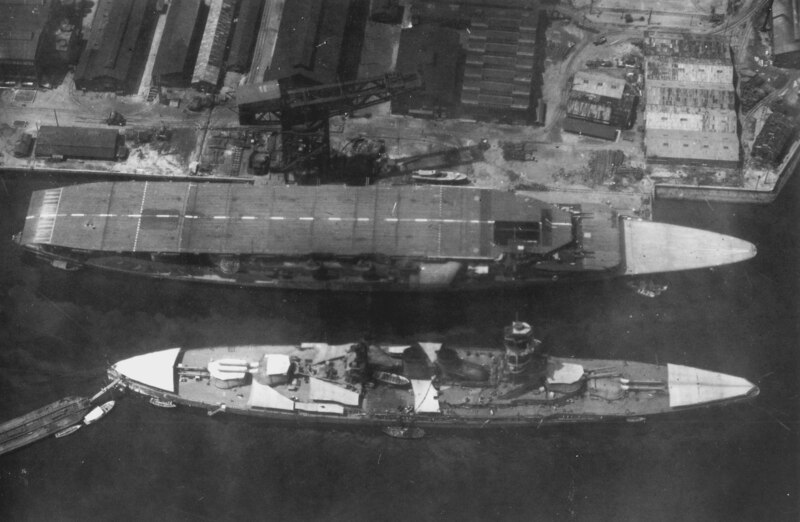 They were the first battleships in the world to carry 16” (406mm) guns and were very fast by 1920 standards, exceeding the speed of the British Queen Elizabeths. The Japanese managed to conceal their top speed for twenty years, until U.S. Navy cryptanalysts intercepted communications revealing their performance. 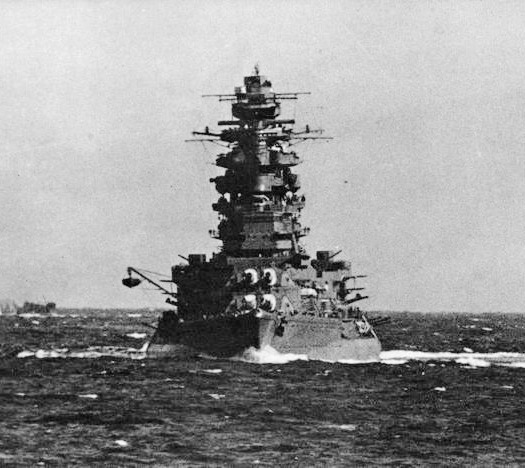 Extensively modernized in the 1930s, with new machinery, torpedo bulges, improved antiaircraft, and some additional horizontal protection, they were the most modern Japanese battleships in service at the start of the Pacific War (Yamato was not commissioned until mid-December 1941) and were very capable units. 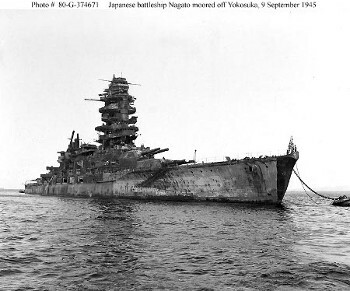 Mutsu was destroyed by a magazine explosion while anchored off Hiroshima. The ship was loading experimental 16" (406mm) antiaircraft shells and these may have been responsible for the explosion. 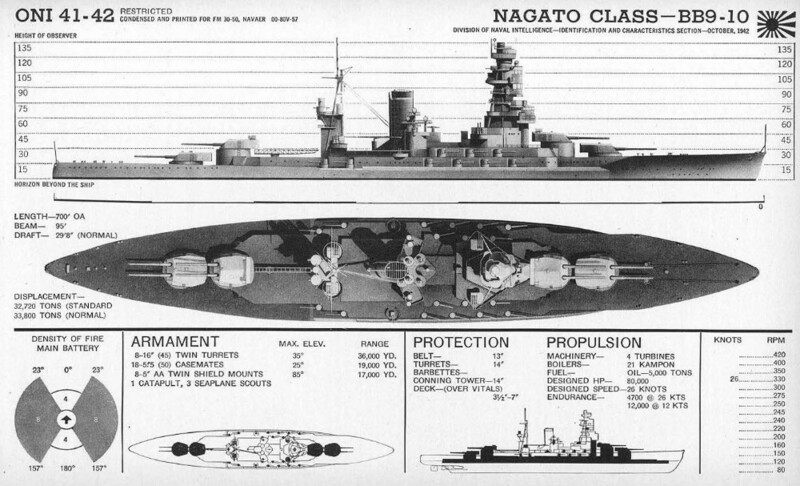 Nagato was the heaviest unit of the Japanese Navy to survive the war in navigable condition. Seized by the Americans under the terms of the surrender, she was expended as a target ship during Operation CROSSROADS, the nuclear weapons effects tests at Bikini in July 1946.